Of all of the awesome drones we have in our collection, there's one standout. The Code Black is our top-selling drone of all time—and we're making it easy to see for yourself why. Get it for 65% off at Techlicious Deals. One of our favorite things about Code Black (aside from the 10 minutes of flight time) is the high-quality built-in HD camera. With four-way flip capability, you'll want to make sure you're capturing all of this drone's moves—and not saying "you had to be there." Use it in beginner or expert flight modes—the six-axis flight control system makes for a smooth ride, either way…and the extra set of blades will come in handy in case things get bumpy. 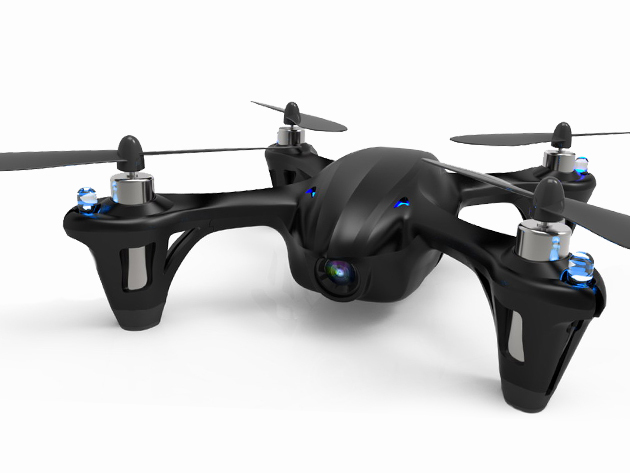 Grab our best-selling drone at a huge discount. It's just $67.99 at Techlicious Deals!